Dark Titan Entertainment has declared now the time to officially unveil a new series. Known as the Prodigious Worlds series. This series will include new stories of new worlds unrelated to the current Dark Titan Universe Saga and The Haunted City Saga. 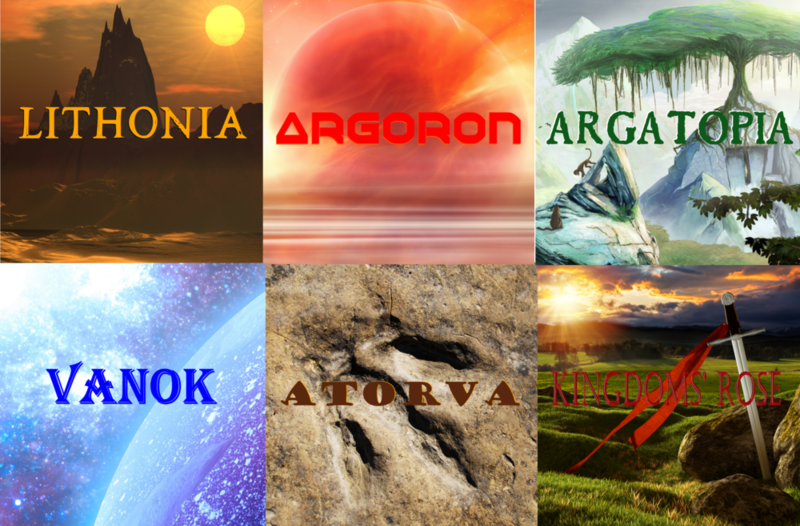 These stories will be in six worlds of their own, named Lithonia, Argoron, Argatopia, Vanok, Atorva, and Kingdoms’ Rose. Featured in what will be short-form books. It all begins in 2020. Starting off, the first releases from this new series in 2020 are Praxus of Lithonia and Mark Porter of Argoron. Praxus of Lithonia is a story set in a barbaric world where Praxus, a native of Lithonian heritage must come to the aid of a neighboring kingdom, whose ruler desires to conquer all the lands. Praxus unites with those whom he trusts as he makes forth to enter Bandor and end the dictatorial rulership for the people. Mark Porter of Argoron details the story of a man named Mark Porter, an Iraqi war veteran who discovers a portal that takes him to another dimension, a world where strange creatures walk and speak. in this world, there are hardly any oceans and the sun is brightest among the stars. Upon arriving, Porter finds himself in the middle of an ongoing war and is seen as the beacon to either end it or lead it. Praxus of Lithonia is scheduled for an Q2 2020 release while Mark Porter of Argoron desires a Q4 release. As for the remaining four worlds, Argatopia and Vanok will see their release sometime in 2021 while Atorva and Kingdoms’ Rose will appear in 2022. All subject to change. Welcome to new worlds. Worlds of a prodigious nature.